Truly Satisfied With Their Service! 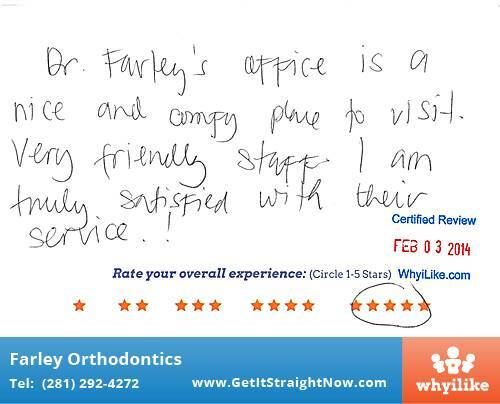 Dr. Farley’s office is a nice and comfy place to visit very friendly staff I am truly satisfied with their service! It has been a very good experience. 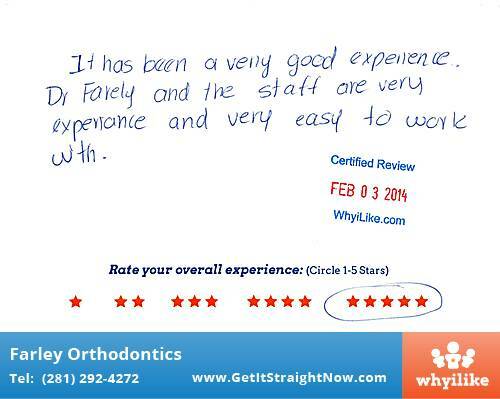 Dr. Farely and the staff are very experienced and very easy to work with. 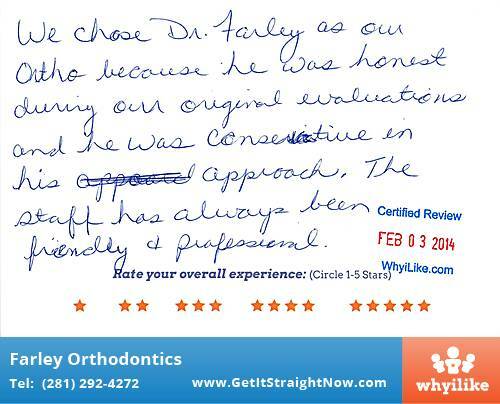 We chose Dr. Farley as our ortho because he was honest during our original evaluations and he was conservative in his approach. The staff has always been friendly and professional. 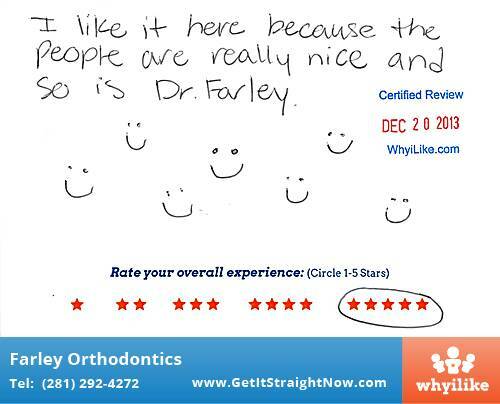 Dr. Farley and his staff are so caring and great at what they do. 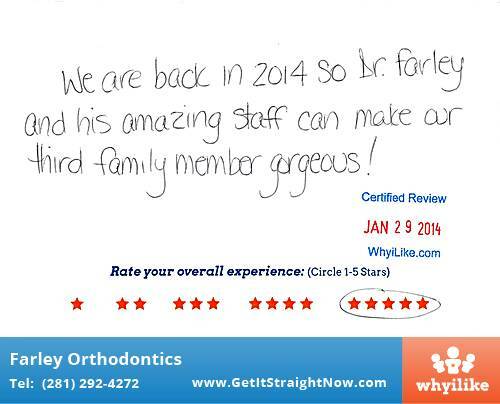 We are back in 2014 so Dr. Farley and his amazing staff can make our third family member gorgeous! I like it here because the people are really nice and so is Dr. Farley. I love it here because the people are so nice. I love Dr. Farley. He is very nice. I love having him as my orthodontics. Great Experience At Dr. Farley’s Office! 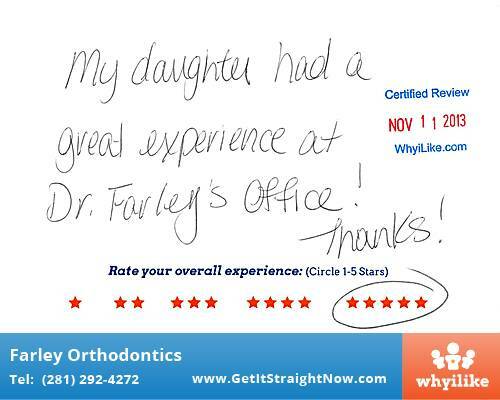 My daughter had a great experience at Dr. Farley’s office! Thanks! 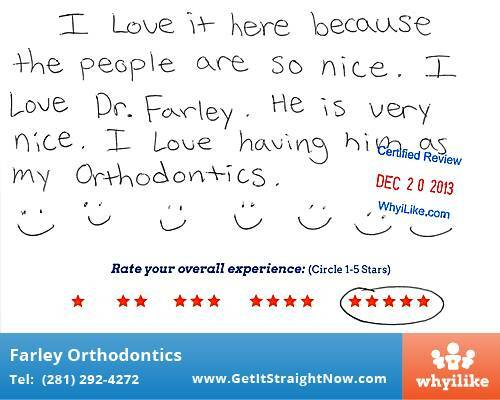 Serving The Woodlands, Oak Ridge, and Magnolia, TX (Texas) - Dr. Norman Farley is your orthodontic specialist, offering lingual braces and braces for children, teens, and adults.